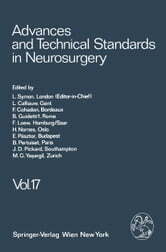 As an addition to the European postgraduate training system for young neurosurgeons we began to publish in 1974 this series devoted to Advances and Technical Standards in Neurosurgery which was later sponsored by the European Association of Neurosurgical Societies. The fact that the English language is well on the way to becoming the international medium at European scientific conferences is a great asset in terms of mutual understanding. Therefore we have decided to publish all contributions in English, regardless of the native language of the authors. All contributions are submitted to the entire editorial board before publication of any volume. Our series is not intended to compete with the publications of original scientific papers in other neurosurgical journals. Our intention is, rather, to present fields of neurosurgery and related areas in which important recent advances have been made. The contributions are written by specialists in the given fields and constitute the first part of each volume. 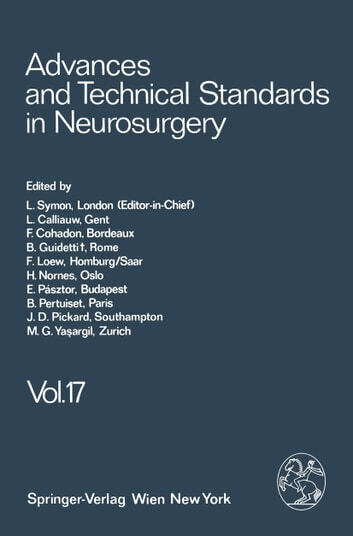 In the second part of each volume, we publish detailed descriptions of standard operative procedures, furnished by experienced clinicians; in these articles the authors describe the techniques they employ and explain the advantages, difficulties and risks involved in the various procedures. This part is intended primarily to assist young neurosurgeons in their post­ graduate training. However, we are convinced that it will also be useful to experienced, fully trained neurosurgeons.